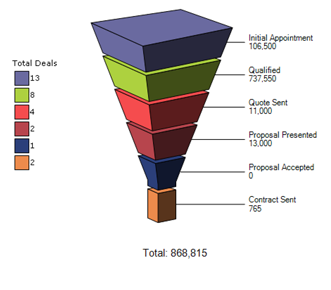 Review your team’s sales reports directly on your mobile phone or tablet. 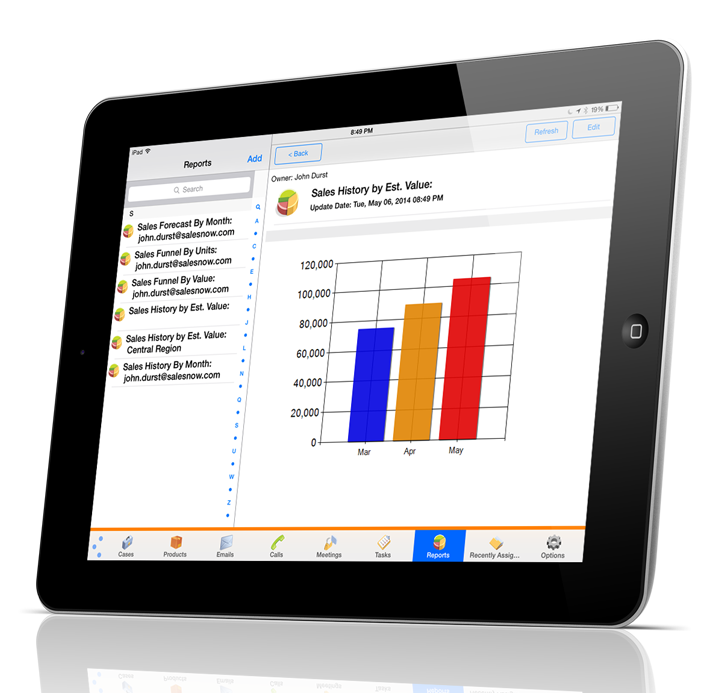 Get real time reports on your mobile device. Whether you want to see your sales funnel, forecast or your history it's as easy as a push of a button. Once you have determined what reports you would like to view, you can then save these reports and quickly access them in the future. With a click of a button you can view sales reports of all of the team’s you have access to from your device. From the reports tab, you select the report you would like to see, and then you select the team or region you would like the report based on. Once you have created the team report, the report will be saved in your report tab for quick access in the future.